Some question has arisen as to the authenticity of the signatures on the Kennebunkport Warning. 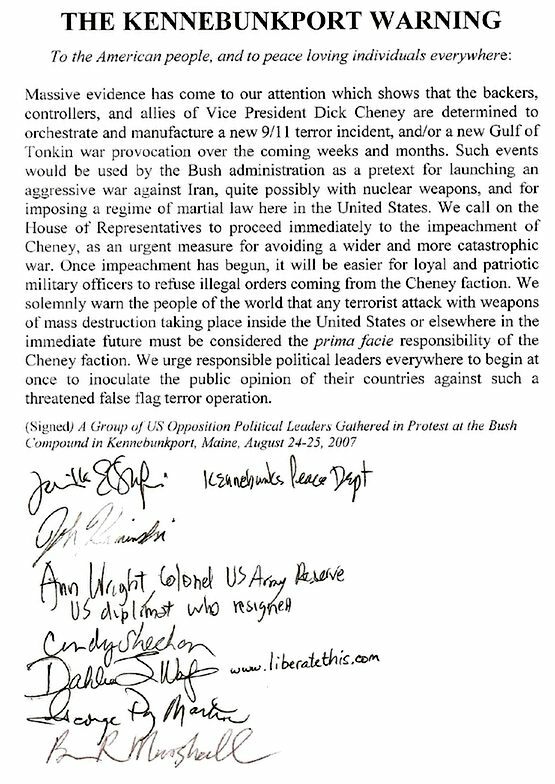 This JPEG facsimile of the original document shows clearly who signed, and thus speaks for itself. We invite all persons of good will to sign, distribute, and publicize the Kennebunkpoort Warning in this critically dangerous world situation. Please send supporting signatures to info@actindependent.org.